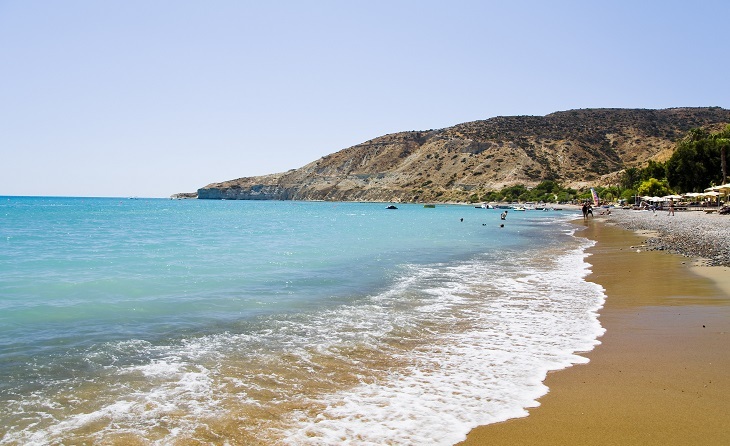 Well known for its crystal-clear waters and sandy shores, Cyprus actually boasts some of the cleanest waters in the world. With countless Blue Flag beaches to choose from – an exclusive eco-label that indicates high environmental and quality standards – we have narrowed down a list of our absolute favourite Blue Flag bays around the country for a dip to remember! 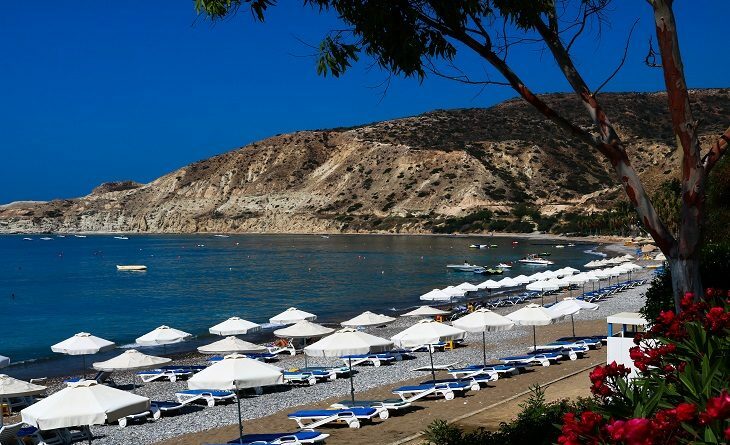 Pissouri Bay runs the full 1.5km, from Cape Aspro on one end to the Mavrorotsos (‘black rock’) headlands on the other. The whole stretch is an absolutely gorgeous spot with waves that softly lap up against a pebbled and sandy shoreline, partly cradled by the rocky cliffs that drop down to the sea, making the whole setting picture perfect. 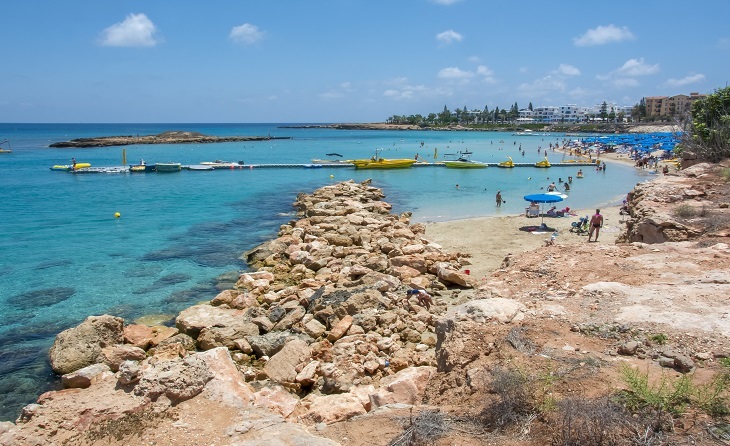 Hands down one of the best sandy beaches in the Paphos area, if you’re after a family day out, all the kids will love this one. 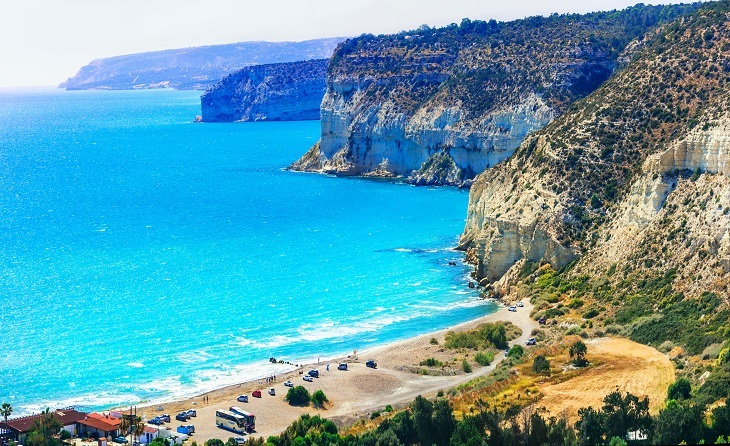 Another gorgeous Blue Flag bay outside the main Paphos hub in the Peyia area, this boasts a great stretch of golden sand cocooned by stunning limestone cliffs. 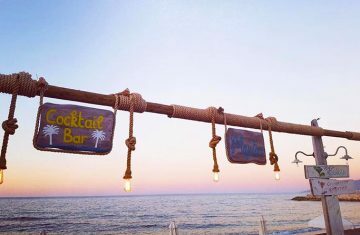 There are a few places here to kick back for a drink, while there are plenty of sunbeds to enjoy a spot of sunbathing. A real family friendly stretch, you can enjoy some of the clearest waters of the island here, while there are a whole host of amenities at hand, including restaurants, beach bars, and numerous hotels to stay the night. A really kid friendly stretch, the waters here are shallow and you can kick back on a sunbed while the young ones splash about! 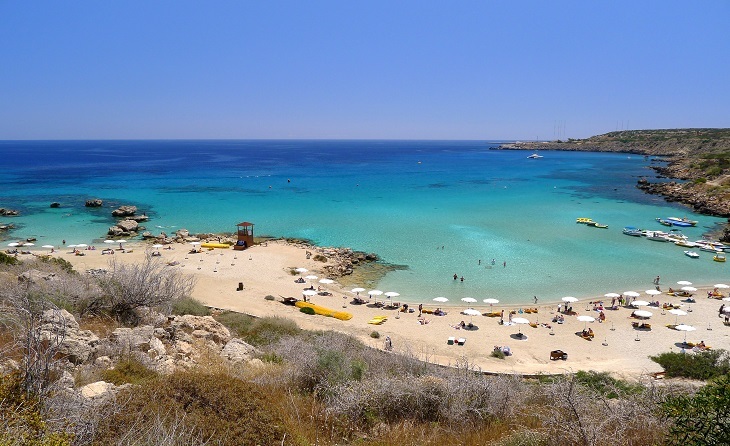 One of the most picture-perfect bays on the island, Konnos Bay gets extremely packed in the summer, but a dip in these turquoise waters is well worth it! 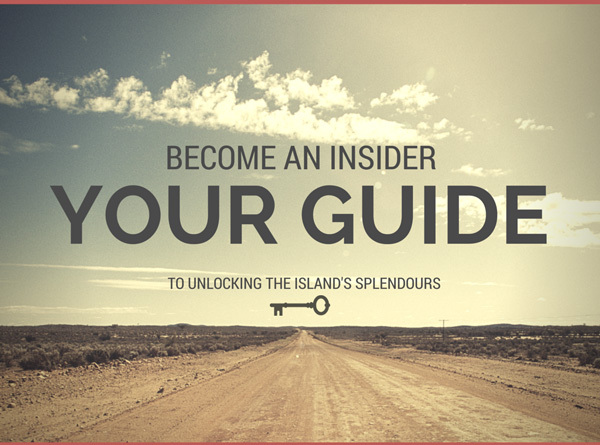 Cocooned by inland greenery and wild rocky peaks, this place really is a slice of heaven. Off the road between Cape Greco and Protaras, the surrounding hills shelter this bay from winds, and the waters are usually as calm as can be. 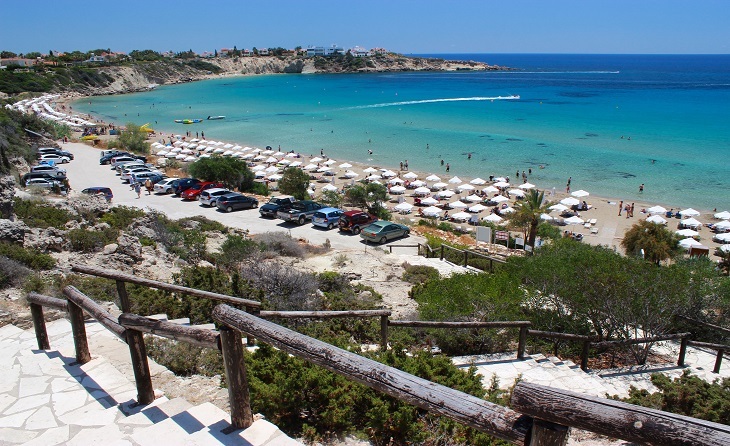 A great stretch of coastline with sand and pebbles, waters are crystal clear, backed by stunning white cliffs. You’ll often catch more adventurous sporty types enjoying a spot of windsurfing here, while you can even head up to the gorgeous Greco-Roman Curium amphitheatre once you’ve enjoyed your swim, as you gaze across the deep blue from above. 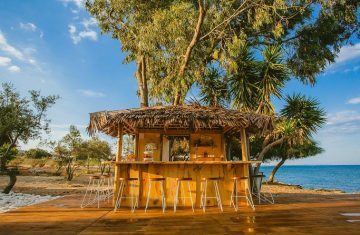 Category: Beachside Bliss, Cyprus Uncovered, Featured. 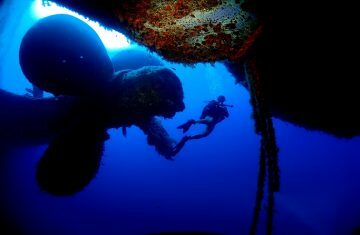 Category: Beachside Bliss, Cyprus Uncovered, Featured, The Great Outdoors, The West Coast.